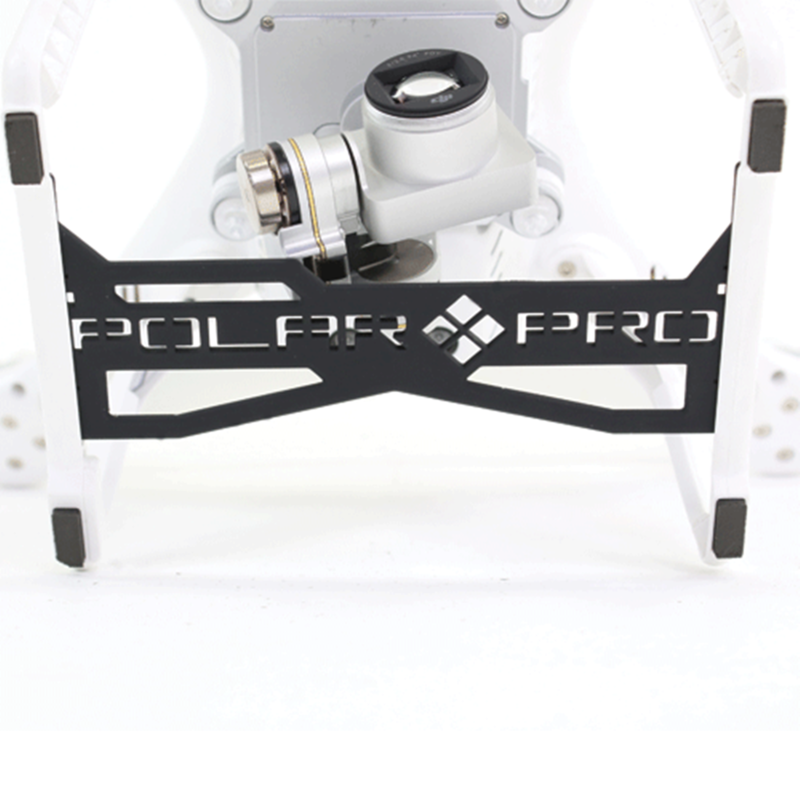 PolarPro's Gimbal Guard for the Phantom 4 is engineered to help protect the gimbal and camera during rough landings. The Gimbal Guard quickly snaps into place below the Phantom 4 camera and gimbal, providing ample protection while landing on uneven terrain, or during inevitable crash landings. Lightweight and streamlined to complement the Phantom 4, PolarPro's Gimbal Guard stays out of your shots, even when the camera is pointed straight down. The Gimbal Guard will not interfere with the positioning sensors (VPS) of your Phantom 4. The PolarPro Gimbal Guard is an easy way to add an additional layer of protection to your expensive Phantom 4 camera and gimbal. It also adds style, making your drone stick out from the rest.